There are some Christians—including those possessing Ph.D.’s—who have come to the conclusion that Mormonism has moved ever so close to Christian orthodoxy in recent years. While some folks—including a few BYU professors and LDS apologists—appear seem to delight in allowing this impression to be made to the outside world, this isn’t what I am finding when I listen and read the words of the LDS leadership. The Church in its divine mission and we in our personal lives seem to face increasing opposition today. Perhaps as the Church grows in strength and we members grow in faith and obedience, Satan increases the strength of his opposition so we will continue to have ‘opposition in all things.’ Some of this opposition even comes from Church members. Some who use personal reasoning or wisdom to resist prophetic direction give themselves a label borrowed from elected bodies—”the loyal opposition.” However appropriate for a democracy, there is no warrant for this concept in the government of God’s kingdom, where questions are honored but opposition is not (see Matthew 26:24) (“Opposition in All Things,” Ensign, May 2016, p. 117). As you obey, the impressions from the Spirit will come more frequently, becoming closer and closer to constant companionship. Your power to choose the right will increase. You can know when these impressions to act for Him are from the Spirit rather than from your own desires. When the impressions square with what the Savior and His living prophets and apostles have said, you can choose to obey with confidence (“The Holy Ghost as Your Companion,” Ensign, November 2015, p. 105). Much inspired counsel by prophets, seers, revelators, and other General Authorities of the Church is given during general conference. Our modern-day prophets have encouraged us to make the reading of the conference editions of our Church magazines an important and regular part of our personal study. 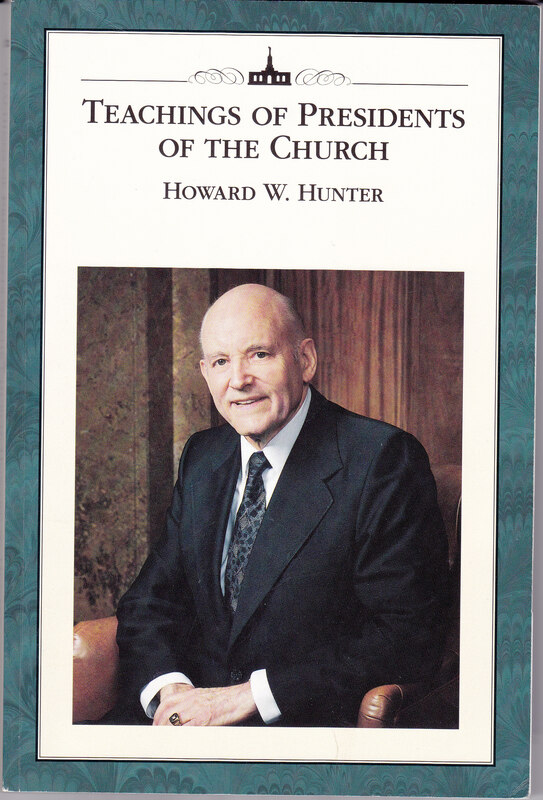 Thus, general conference becomes, in a sense, a supplement to or an extension of the Doctrine and Covenants (p. 119). A Mormon is allowed to have any personal revelation he or she wants. However, only those revelations that coincide with the teaching from Salt Lake City are considered orthodox by the church. I find this statement to be true with many laypeople in Mormonism. However, the Latter-day Saint needs to understand that any time Joseph Smith-History chapter 1 is cited in reference to the First Vision (where Smith was told how the churches were teaching falsehood), it is the same as saying Christian churches today are also wrong. (For example, this passage was quoted from regularly in Apostle Neil L. Anderson’s talk in the October 2014 talk “Joseph Smith.”) The thrust of God the Father’s words in the First Vision is that the Christian churches were teaching doctrines (i.e. the Trinity, salvation by grace, sole authority in the Bible); these are the same doctrines taught in contemporary Christianity. We claim that The Church of Jesus Christ of Latter-day Saints is the kingdom of God and the only true Church on the earth. It is called the Church of Jesus Christ because He stands at the head; it is His Church, and all these things are possible because of His atoning sacrifice. We believe that these distinguishing features can be found in no other place or organization on this earth. As good and sincere as other religions and churches are, none of them have the authority to provide the ordinances of salvation that are available in The Church of Jesus Christ of Latter-day Saints (“Do I Believe?” Ensign, May 2016, p. 88). Nobody but Mormons have authority to lead people to salvation, she says. This quote is found in the most recent general conference. Again, Joseph Smith-History 1:19 is alive and well in contemporary Mormonism. Many evolutions and iterations of religious creeds have greatly distorted the simple clarity of true doctrine, declaring the Father, Son, and Holy Ghost to be abstract, absolute, transcendent, immanent, consubstantial, coeternal, and unknowable; without body, parts, or passions; and dwelling outside space and time. In such creeds, all three members are separate persons, but they are a single being, the oft-noted ‘mystery of the trinity.’ They are three distinct persons, yet not three Gods but one. All three persons are incomprehensible, yet it is one God who is incomprehensible. We agree with our critics on at least that point—that such a formulation for divinity is incomprehensible (“Knowing the Godhead,” Ensign, January 2016, pp. 36-37). So we are very comfortable, frankly, in letting it be known that we do not hold a fourth- or fifth-century, pagan-influenced view of the Godhead, and neither did those first Christian Saints who were eyewitnesses of the living Christ.9 We are New Testament—not Nicene—Christians (“Knowing the Godhead,” Ensign, January 2016, p. 37). Check 2: Our view of God remains very, very different. I admit this many leaders don’t talk about visitations from the dead very often. It seems to be a personal issue and is usually left alone. But if you were a Latter-day Saint listening to an April 2016 general conference talk given by Apostle Russell M. Nelson, how would you take the following? Then one night last May, I was awakened by those two little girls from the other side of the veil. Though I did not see or hear them with my physical senses, I felt their presence. Spiritually, I heard their pleadings. Their message was brief and clear: “Brother Nelson, we are not sealed to anyone! Can you help us?” Soon thereafter, I learned that their mother had passed away, but their father and younger brother were still alive (“The Price of Priesthood Power,” Ensign, May 2016, p. 66. Italics in original). If it were me, I’d do everything possible to be as spiritual as this apostle and seek out communication with the dead, even though this is something strictly prohibited by the Bible. For example, Saul was reprimanded for dealing with the witch of Endor. This is the same First Vision where, as mentioned in point 2 above, Smith was supposedly told by God how all the churches were wrong and how the Christian creeds were “an abomination in his sight” while the “professors were all corrupt.” If this was true back in 1820, it would have to still be true for all the churches holding to the same doctrines that they believed! When we sing of Joseph Smith, “Praise to the Man” (Hymns, 1985, no. 27), we remember so many praiseworthy things about him. We praise him for his capacity to commune not only with Jehovah but also with other personages of heaven. . . . We praise Joseph Smith, too, for his diligence and capacity to translate and to receive hundreds of pages of revealed scripture. He was the revealing conduit. Through him, it has been estimated, more marvelous pages of scripture passed than through any other human in history. . . . Joseph has long since fulfilled his wish that he might hold “an even weight in the balance with” the ancients [Teachings of Presidents of the Church: Joseph Smith, 230]. We can now sing of how Joseph has been “crowned in the midst of the prophets of old” (Hymns, 1985, no. 27). I am grateful for my membership in the Church, and my testimony of its divinity hinges upon the simple story of the lad under the trees kneeling and receiving heavenly visitors—not one God, but two separate individual personages, the Father and the Son, revealing again to the earth the personages of the Godhead. My faith and testimony hinges upon this simple story, for if it is not true, Mormonism falls. If it is true—and I bear witness that it is—it’s one of the greatest single events in all history. It is my prayer [that] as we commemorate this great prophet and reflect upon his life, that we have gratitude in our hearts for the things which have come into our lives by reason of his seership and his revelation to us—a choice seer, raised up by the Lord to guide us in these latter days, that we might turn our footsteps back to those paths which will lead us to exaltation and eternal life. (pp. 96-97). Without Joseph Smith, there is no Mormonism, confirmed from the rooftops by the leadership. The Lord emphatically declares that ‘it shall be done unto them in all things whatsoever my servant hath put upon them, in time, and through all eternity; and shall be of full force when they are out of the world; and they shall pass by the angels, and the gods, which are set there, to their exaltation and glory in all things, as hath been sealed upon their heads, which glory shall be a fulness and a continuation of the seeds forever and ever. Then shall they be gods.’ In summary, those who enter into the new and everlasting covenant and endure faithfully to the end will (1) receive the fulness of the glory of God, (2) enjoy the power of godliness in time and eternity, (3) be exalted, (4) enjoy eternal marriage and increase, and (5) become gods. Taken together, these blessings culminate in the gift of eternal life (“The New and Everlasting Covenant,” Ensign, December 2015, p. 43). The atoning sacrifice of the Savior is what makes perfection or sanctification possible. We could never do it on our own, but God’s grace is sufficient to help us (What Lack I Yet?” Ensign, November 2015, p. 35). In the ordinance of the sacrament, we witness unto God the Father that we are willing to take upon us the name of His Son and always remember Him and keep His commandments, which He has given us, that we may always have His Spirit to be with us ( “Always Remember Him,” Ensign, May 2016, p. 108). Great and eternal blessings are promised to those who receive gospel ordinances performed by proper priesthood authority and sealed by the Holy Spirit of Promise, and who then keep the sacred covenants associated with the ordinances. These blessings include forgiveness of sins, the power of godliness, and the companionship of the Holy Ghost, together with the guidance, inspiration, comfort, peace, hope, and sanctification that attend that gift. The greatest of all the blessings and gifts of God is eternal life—which is the life God lives! This gift is given only to those who receive all gospel ordinances and abide by the covenants encompassed within the new and everlasting covenant (“The New and Everlasting Covenant,” Ensign, December 2015, p. 43). A covenant in the gospel sense is a pact, a contract, or an agreement between God and a person (or persons) who receives priesthood ordinances performed by one with priesthood authority and who agrees to abide by the terms and conditions of the associated covenant. These terms and conditions are established by God. The new and everlasting covenant ‘is the sum total of all gospel covenants and obligations’ given anciently and again restored to the earth in these latter days (Marcus B. Nash, “The New and Everlasting Covenant,” Ensign, December 2015, p. 42). Thereafter, we can receive and retain the companionship of the Holy Ghost by always remembering the Savior, keeping His commandments, repenting of our sins, and worthily partaking of the sacrament on the Sabbath day (“The Holy Ghost,” Ensign, May 2016, p. 105). Sometimes the adversary tempts us with false ideas that we may confuse with the Holy Ghost. I testify that faithfulness in obeying the commandments and keeping our covenants will protect us from being deceived (“The Holy Ghost,” Ensign, May 2016, p. 106). We should not deceive ourselves about what it takes to return and remain in the presence of our Father in Heaven. We have to be clean (“Remembering in Whom We Have Trusted,” Ensign, November 2015, p. 122). The scriptures teach that every individual must “be judged according to the holy judgment of God.” On that day there will be no opportunity to hide among a larger group or point to others as an excuse for our being unclean (“Remembering in Whom We Have Trusted,” Ensign, November 2015, p. 123). My message to you tonight is straightforward. It is this: keep the commandments” (“Keep the Commandments,” Ensign, November 2015, p. 83. Italics in original). Conclusion: While there are definitely changes that have taken place at the lay level of Mormonism, I just don’t see the leadership budging on core LDS doctrine. Many Mormons appear to be gravitating to a more gentle, inclusive and even pluralistic Mormonism. It appears more Mormons are hoping for a Kum-ba-yah moment where doctrinal similarities are stressed rather than differences. However, the message from general conference messages as well as church published material is nothing less than traditional Mormonism. Since the leaders say they are the ones who run the dog-and-pony show, it will be interesting to see what happens in the upcoming months and years as a tug-of-war over power and authority will continue to take place, including issues related to LGBT and women in the priesthood. Stay tuned.